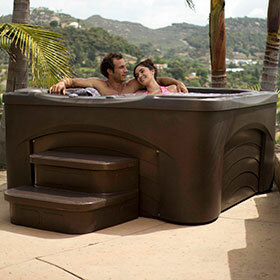 Free Flow hot tub models in Spokane are available at Pool World! 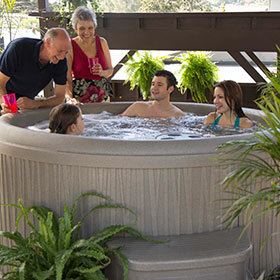 These hot tubs are a wonderful addition to the Watkins Manufacturing line! All of the Free Flow hot tub units are Plug-N-Play and come with a GFCI power cord. 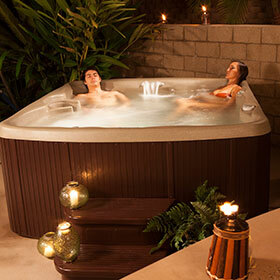 That means that this hot tub has an easy installation process and may be plugged into any standard 110V outlet. 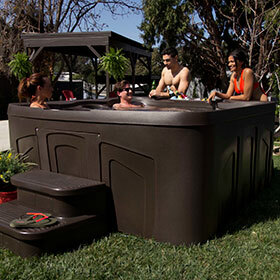 The Free Flow hot tubs that are offered at Pool World are uniquely designed using a rotational molding process that creates a hot tub that will fit into anyone’s budget. The shell is almost indestructible and the jets are interchangeable providing a quality product with versatility. Come in today to find out more about the Free Flow hot tubs in Spokane are featured at Pool World.